Hello there! 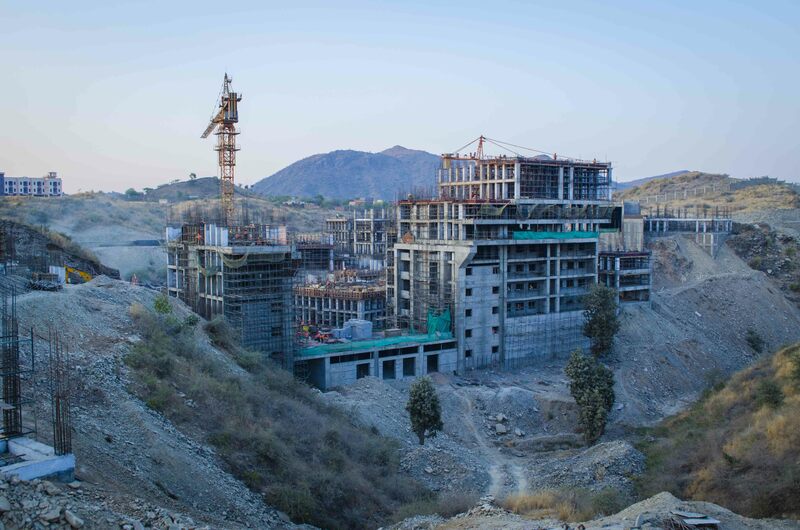 Pat yourself on the back a little because you have stumbled upon the right place to know all about the upcoming 300 acre Balicha Campus at IIM Udaipur. As prospective managers embark upon their MBA journey and work their way through assignments and presentations towards completion of the first trimester, the campus too gets ready to host its new occupants. The campus will be more than ready to house the students and faculty, with plenty of amenities operational, as well as planned in the near future. IIM Udaipur holds a standing reputation for being absolutely uncompromising on the quality of education and lifestyle it provides to students. Let us give an overview of the facilities we enjoyed at MLSU. OLD CAMPUS : The present location of the academic block, Polymer Science building in the MLSU campus, boasts of five beautifully set up, large, noise-proof classrooms, sufficient number of faculty chambers, Bloomberg laboratory, Placement and Administrative offices, library, a canteen, a gymnasium and a one of a kind Gazebo. 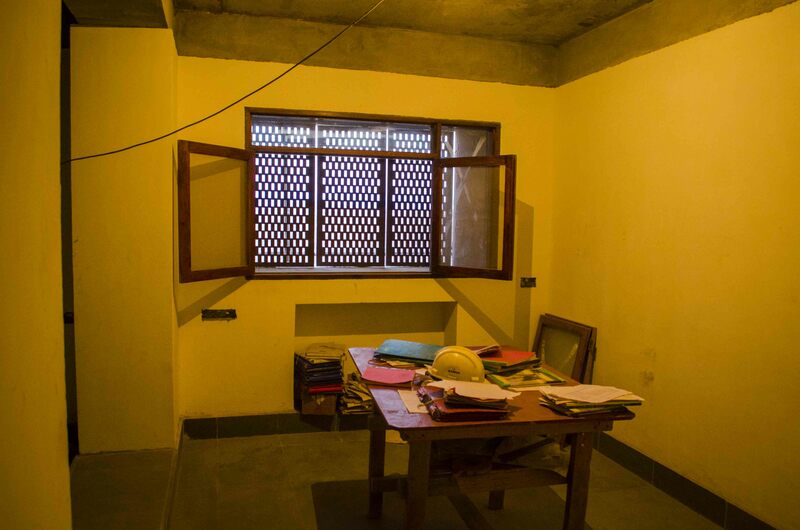 These classrooms were fully functional and IIM-ready long before classes began there. Three hostels house the students of IIM which are equipped with all required amenities like washing machines, refrigerators, water coolers, microwaves and induction ovens. There are large quadrangles attached to every hostel where social events take place and also students enjoy games of badminton and volleyball. A large playground is attached to the hostel for cricket and football matches. Another gymnasium is attached to hostels and also a board for ping-pong enthusiasts. There are two canteens that remain open all night long and frequented by a large number of students. The campus and hostels are fully wifi enabled and LAN ports are also available, two in every hostel room. Coming back to the new campus, it has a 330 capacity classroom – a mini auditorium. Also an Open Air Theater will soon come up for which work is in progress. The facilities enjoyed in the old campus academic block and hostels will be retained in the new campus as well. Here’s a picture of the construction progress from January, 2016. 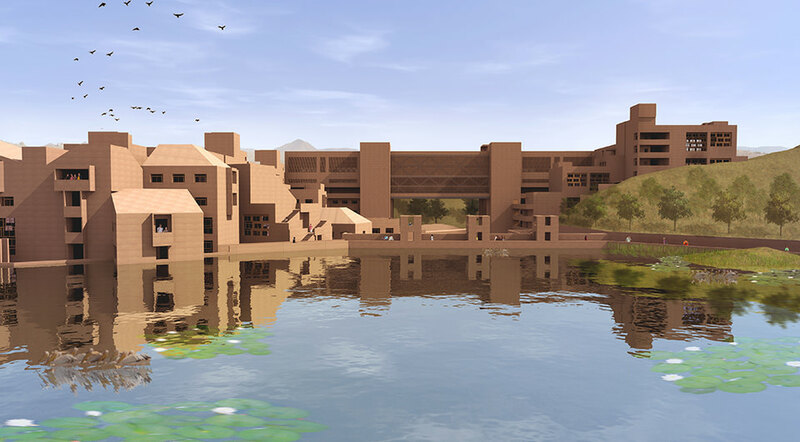 The campus is designed, as reflected in the pictures, to look like the majestic Rajasthan forts built in the yesteryear. There are 8 fully equipped main classrooms seating 77 each. There are spaces allocated for the clubs that put up a requirement for the same. 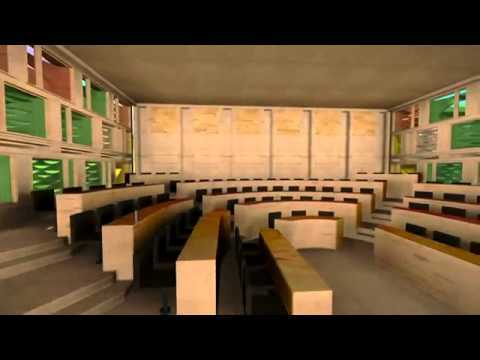 This is how the new classrooms will be like. The Academic block toilets will be the universal style for better facilitating people who have any difficulty with regular ones. 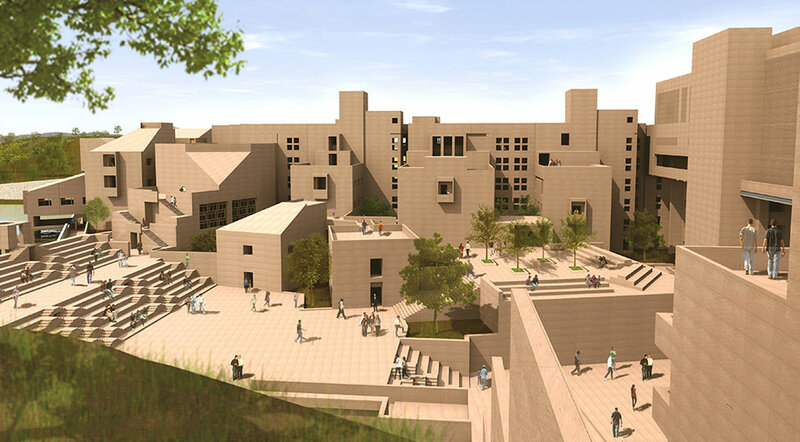 Here’s a graphic image of the campus as it will be in near future. Next we come to our Den! The Hostels! Single occupancy , air conditioned rooms are in place with large windows. Eight units share a common space while four of these rooms share two toilets between them. There are special rooms in every hostel to make the stay more comfortable for differently abled candidates. Hostel Complex has the basic sports facilities – Pool Table in the mess hall, Table tennis, Small basketball courts, Mini Gym etc. The fully fledged sports complex will also come up in phase 1 itself later in the year. Once you step outside the hostels, the view of the campus cradled in the mountains is breathtaking. Take a sneak peak now ! There would be a world class connector between Acad and Hostel Block ( We could totally name this the Highway to Hell or Stairway to Heaven but that’s controversial and debatable). For traversing between the two blocks, bicycles may be used. And while you are going to Acad, you can look down and see the Lakes. We are going to be self –reliant when it comes to water though we also already have a dedicated connection for water. These lakes will be primarily rain-fed. A system of check dams will be put in place at strategic locations within the terrain to create several interlinked lakes. Food – the most important concern for gourmets. Mess food and night canteen will be available. Whatever facilities you have here with regards to food are available there. Now the additions – a food court will come up in time and also a cafeteria within Acad. There would be a Lakeside coffee lounge and a health food café in the sports lounge. Now the only concern is transportation right? No the place isn’t as far flung from civilization as you might be led to believe. It is just a comparatively less polluted zone place where OLA plies. Also talks are on with State Govt for improving transportation there. We can expect the institute would make some arrangements to make commutation easier. Bike lovers, brace yourselves. Those bad boys stay parked in the parking lot near the campus gate along with the good boys i.e. the four-wheelers. The entire campus has been designed for a GRIHA (Green Rating for Integrated Habitat Assessment) LD 5 Star rating. 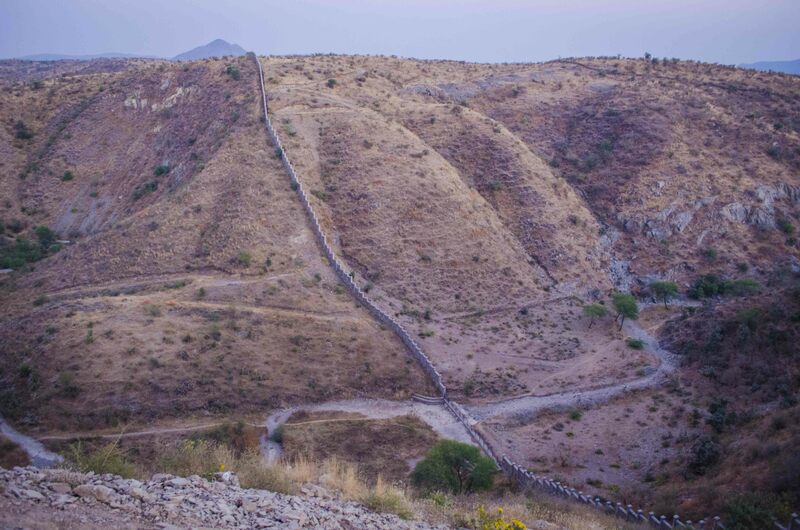 Oh, and this one shows the great wall of Balicha ! Fancy an afternoon walk? Further plans include the construction of Solar power farm in campus for electricity generation. The campus will be a zero-waste facility in coming years, where waste will be an important resource utilizing DEWATS (Decentralized Wastewater Treatment Systems), vermicomposting and biogas production. This is a green campus and it’s totally worth it! Come be a part of it! Will take atleast 5 years!